As you’d have read from my post about 3 weeks ago, I’ve started using Young Living essential oils on the recommendation of my friend Ana. 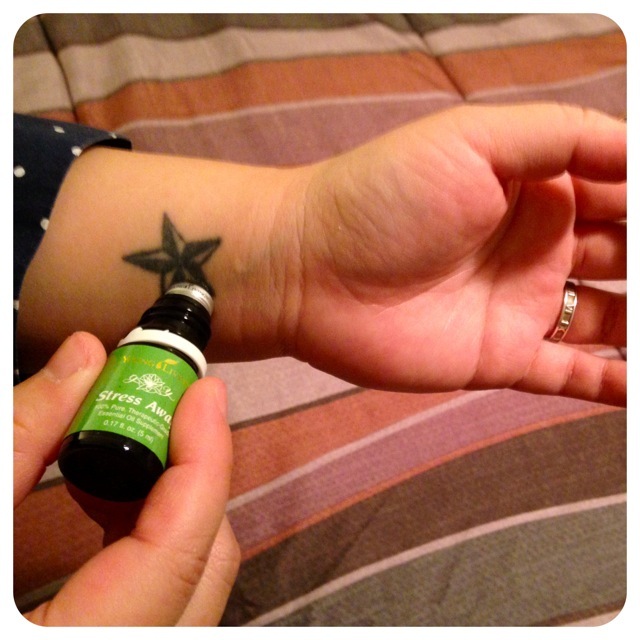 Ana uses the oils for the health of her young family and gave me some that she thought might help me too. In the last few weeks, I’ve been faithfully using the oils she selected for me, including some of the ones that came in the Basic Starter Kit. In fact, the one that I felt worked for me almost immediately is STRESS AWAY. 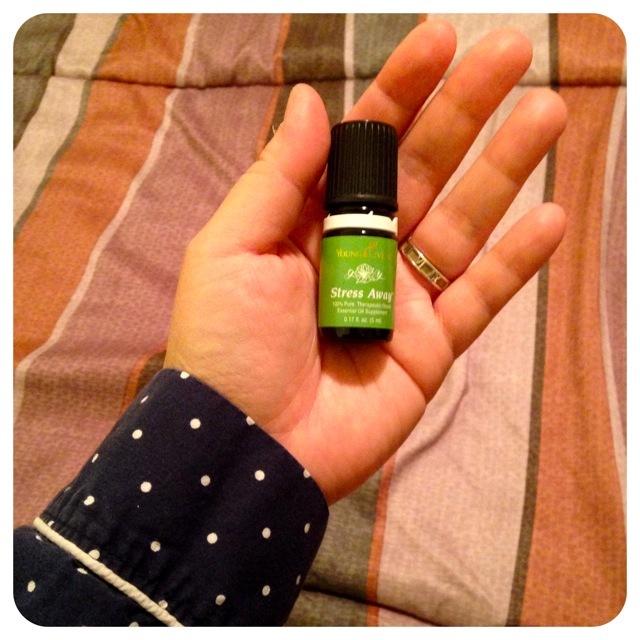 My small bottle of STRESS AWAY was included in the Basic Starter Kit and came with the AromaGlide Fitment – basically a roll-on attachment which makes applying topically such a breeze. Every night as I wind down (it takes me a while to settle into my bedtime hygiene), I roll some onto my wrists and I do the same for T as well. We have a bottle of Melatonin right next to us (actually on his nightstand) because for some reason, it’s difficult for us to fall asleep. I don’t use Melatonin as much as T because I don’t work and I basically have the luxury of waking/sleeping as my body clock decrees but sometimes, it’s just annoying to be tossing and turning. I’ve noticed that I haven’t needed any Melatonin for the last 3 weeks since I started using Stress Away to relax before turning in. I can’t say for sure that it’s all attributed to STRESS AWAY but it is an obvious variable and it doesn’t hurt that it smells really nice. For the longest time, I couldn’t figure out why it brings back childhood memories. T and I actually looked up the ingredients to see what it contains – it has lime, vanilla pure, copaiba and lavender. The only conclusion I have is that it smells like incense or something we use during the Hare Krishna Kirtans we used to host at my parents’ house when I was growing up. Whatever it is, Stress Away seems to work for me right now and I’m going to continue using it. If you’re keen to learn more, hit up my pal Ana and she’ll be happy to answer more questions about essential oils. Categories: Rants & Raves | Tags: ask me about oils, essential oils, member137002, onedropnirvana, sponsored, sponsored product, yl, young living | Permalink. 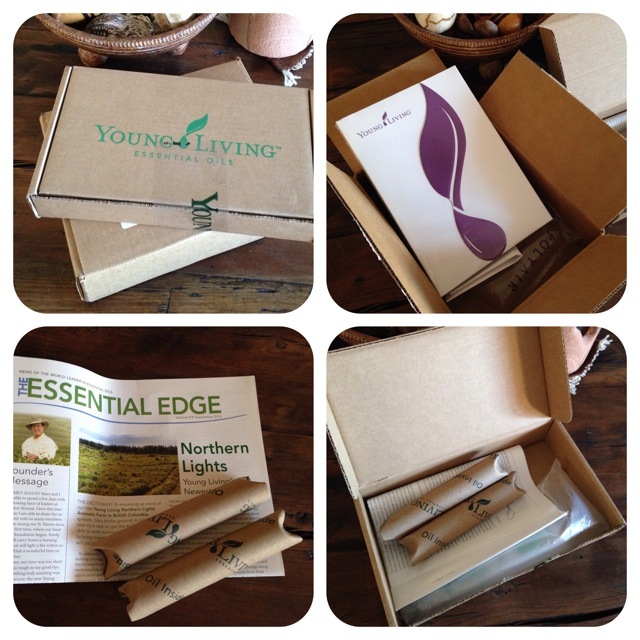 I got my first packages from Young Living a few days ago and I’ll be sharing my journey over the next few months. My friend Ana (One Drop Nirvana) kinda offered them to me and hopes that they would be beneficial to some health issues I’ve been facing. 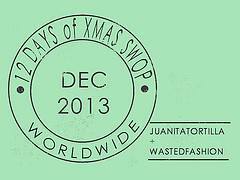 Ana was an ex-colleague and when I first met her, she was a new mother. Now she has 2 beautiful children and is using essential oils regularly to keep her family healthy and safe. Before I told her to sign me up, I asked her some questions to find out more. 1. How did you get started with this? I started becoming acquainted with Young Living oils in 2009 when a very good friend gifted me with some, but only began using them seriously in 2011. Keyaan had started preschool and was falling sick every fortnight. It got to a point where it was ridiculous – fever every two weeks and doctors kept plying him with paracetamol, ibuprofen and antibiotics. All didn’t really help except to force the symptoms into submission. But his immunity was poor and so kept falling sick. I decided enough was enough, pulled Keyaan out of school for a week or two and decided to really try out the oils exclusively. I went back to the friend and asked for help. The specific oil that did the trick was a blend called Thieves (https://www.youngliving.com/en_SG/products/essential-oils/blends/thieves-essential-oil), a highly anti-viral oil. The difference was palpable because when Keyaan recovered this time, he didn’t fall ill again. In fact, my kids now rarely fall sick and when even they do, they recover quickly. I keep up a maintenance routine of using one drop of Thieves essential oil on the soles of their feet, twice a day or before and after they enter an indoor playground or visit people’s homes (as much as possible). When they’re ill, I ramp it up to every 15 mins or every hour. 2. Why Young Living and not other essential oils? Young Living is the only company in the world that produces essential oils to a level that makes them therapeutic grade. Any grade lower than theirs’ would not be suitable for healing purposes. I’ve been to the farm (and about to visit two more this year), learned their Seed to Seal (https://www.youngliving.com/en_SG/discover/quality) process and am utterly convinced that it is the only oils that I would trust to use on myself and family. Other oils (like NOW from iHerb) might be good enough for fragrance purposes or at best, food grade (doesn’t kill you to ingest, but no real benefits). I’ve smelled doTERRA, Mt Sapola and other types of oils – they range between smelling very “nice” and perfumy (i.e. fake) or rancid/faint (adulterated with alcohol, liquid paraffin and other fillers). 3. 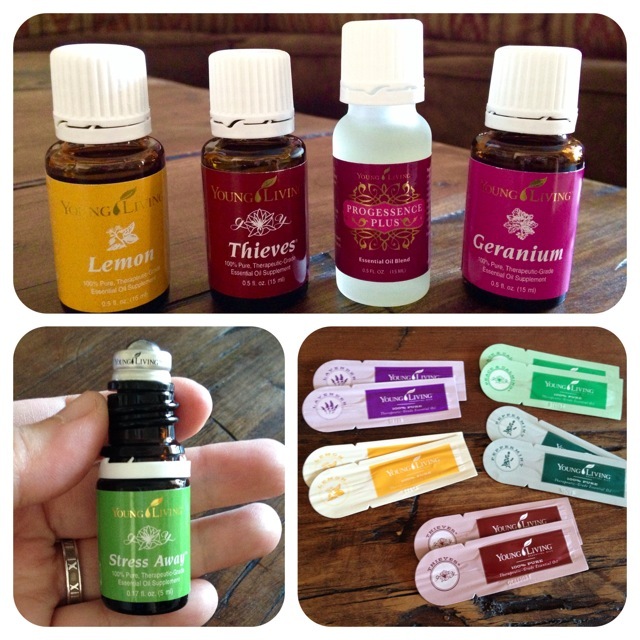 What are the 3 most common things you use essential oils for? The health of my family is top priority for me, so I use a lot of anti-viral single and blended essential oils to build immunity and prevent disease. These include the aforementioned Thieves, singles like Peppermint, Lavender, Lemon, Frankincense, Idaho Blue Spruce, Copaiba, the Eucalyptus varieties and many more, including a collection called Raindrop (http://www.youngliving.com/en_US/company/media/events/raindrop) and other blends such as DiGize, ImmuPower and Purification. I also practice drawing from what I call the Source or Universal Law of Attraction, so I use oils with a higher frequency for emotional and spiritual purposes. Some of my favourite blends (and the names of the oils gives you an idea of its purpose) are: Abundance, Believe, Magnify Your Purpose, Build Your Dream, Awaken and Valor. On a more practical front, the oils are so versatile that they can actually replace some of my beauty and personal care products on a daily basis and even more so when I’m travelling and on the go. For example, Frankincense and/or Lavender make a great face serum; Sage is a great anti-perspirant; Petitgrain is a mild deodorant, and in a pinch I’ve even used the blend Valor (which is made with fractionated coconut oil base) as an eye make-up remover! And yes, they did and I want to experience some of those benefits too. Her answers were enough to pique my curiosity and so Ana got me a Basic Starter Kit as well as 4 other oils. 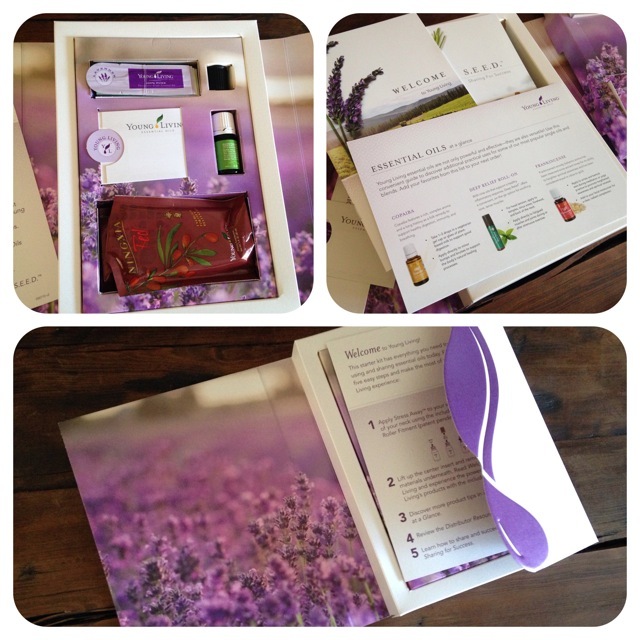 The starter kit itself contained information about Young Living as well as some of their products. I got 1 small bottle of STRESS AWAY with a roll-on attachment, samples of the Ningxia Red dietary supplement (2 packets) and several small sachets of other oils like Lavender, Peppermint, Thieves, Lemon and Peace & Calming. I tried the STRESS AWAY immediately because the roll-on applicator made it very convenient to apply topically on my wrists. I also rolled some onto T’s wrists and he really liked how it smelt. 1. Progessence (for hormonal health) – apply one drop on either sides of your neck (carotid arteries) before bedtime and in the morning daily. Alternatively, apply on inner thighs. 2. Geranium (for stress) – apply one drop on your inner ankles before bedtime and also one tiny drop, rub lightly on your palms and dab it on your face as a serum. In addition to providing stress relief, is a great way to gently rebalance female hormones, especially for those facing some challenges in that area (e.g. PMS, PCOS, irregular menses, fertility etc). 3. Thieves (prevent disease, antiviral) – one drop on soles of feet, twice a day. If sick (or going to be), ingest one drop in a spoonfool of organic honey. 4. Lemon (antioxidant) – 3 drops in a litre bottle of water, once a day. I posted some pictures of the products I’ve been using on Instagram and have started a healthy discussion with some friends who are also into essential oils. I’m keen to learn and would love to engage you in a conversation with them too. If you have any knowledge of essential oils or are curious about them, leave me some comments below or else just follow my journey over the next few months. And here’s a picture of the lovely Ana and the Melissa plant. 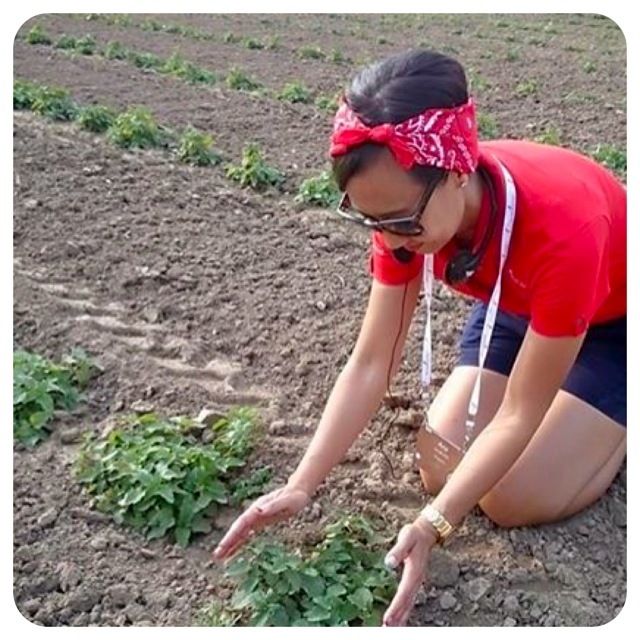 She visited Washington State a few months ago and got to experience the Young Living farms herself. In fact, they are also open for anyone to visit! Imagine fields of LAVENDER… Anyway, visit Ana’s blog ONE DROP NIRVANA and write to her if you are interested to learn more about oils. Categories: Rants & Raves | Tags: ask me about oils, essential oils, member137002, one drop nirvana, onedropnirvana, review, sponsored products, yl, young living | Permalink.